Rene Descartes is the most famous french philosopher. 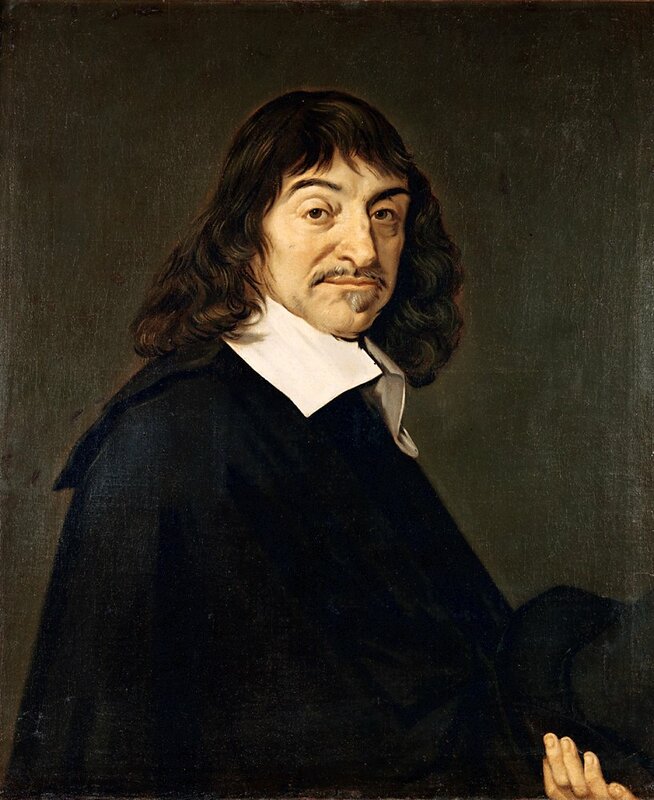 Descartes founded the modern rationalism, he pressed it to the forces of reason and evidence in order to achieve the real safely, the purpose of knowledge is to “make us like the master and possessors of nature “. We owe to Descartes a method based on reason. The next question is the origin of this method as, in effect, access to the truth? The issue was crucial since the seventeenth century when science was developing on his side (eg 1628, discovery of the circulation of blood …), scholastic philosophy, while dominant, could not satisfy the spirits. She gave, indeed, too much importance to the principle of authority, and it does not, in fact, a truly rational approach. – The reason, ability to distinguish right from wrong, expired allotted to all. – From this “common sense”, the best thing in the world shared (sometimes called natural light by Descartes), which must make wise use, by developing a method or a path, a road allowing reach the truth. The method is rational, in these conditions, consisting of a set of rules, whose application leads with certainty to the result. – Any method is to follow an order, that is to say to bring proposals to the most obscure singles and raising us then, by degrees, from simple to more complex, relying always on intuition and deduction. – Intuition, or look for specific and unmistakable design of a pure and attentive mind, direct or immediate knowledge, makes it possible to receive anything as true, to seize an idea in its clarity and distinction – which represent For Descartes, the real criteria of truth. ► Is a clear idea (a spiritual content, any object of thought as thought) and this manifests an attentive mind. ► The distinct idea, it appears like that is absolutely accurate and different from all others. Thus, the approach of Descartes is based on evidence, namely the nature of what is needed immediately to mind and drives his assent. – It is a discursive operation assuming a journey, a demonstration, a logical sequence, or anything that involves a succession. – Intuition is one piece, but capital is an orderly movement, ranging from proposals for proposals, a link established between intuitive truths. – The Cartesian doubt is not skeptical, but methodical. Necessary to scan and send false opinions clearly, it is to suspend all that is not certain. – Unlike the skeptics, who doubt that to doubt, Descartes doubt to achieve true and build a science degree. – Her question is a working tool, it is voluntary and hyperbolic, that is to say, beyond the extent and in the extreme. – Descartes, regarding it as absolutely false what is doubtful, because the hypothesis of an evil genius, evil or an evil god who could fool us all the time – methodological hypothesis intended to universalize the doubt. Within the doubt, Descartes encounters a first certainty, the cogito (“I think” in Latin). The cogito is the self-consciousness of the thinking subject. 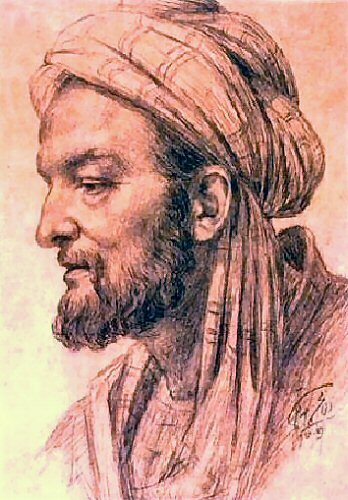 Indeed, so universal is the doubt, since it deals with the totality of knowledge, there is something he can not reach: it is its own condition, because doubting, I think, and thinking, I am. In the Discourse on Method, the statement seems deductively cogito (cogito ergo sum). But this proposal is in fact the result of direct induction: the first truth that is intuitively in mind when questioned. – And the activity of the mind and consciousness characterize me: consciousness is the essence of thought. The second truth is discovered by Descartes existence of God. It demonstrates the existence of several ways. – The Cartesian evidence specifically proves the idea of ​​perfect, in fact, among the ideas that are in me is the idea of ​​God, an idea to be sovereign, almighty, eternal, infinite (idea of ​​perfection and infinity). – But this idea of ​​how perfect she could make an imperfect being? actually, I must admit the existence of a being containing in itself all the perfection of the idea is, that is to say God. He meant by God, a supremely perfect substance, and in which we conceive nothing which encloses some defect or limitation of perfection. 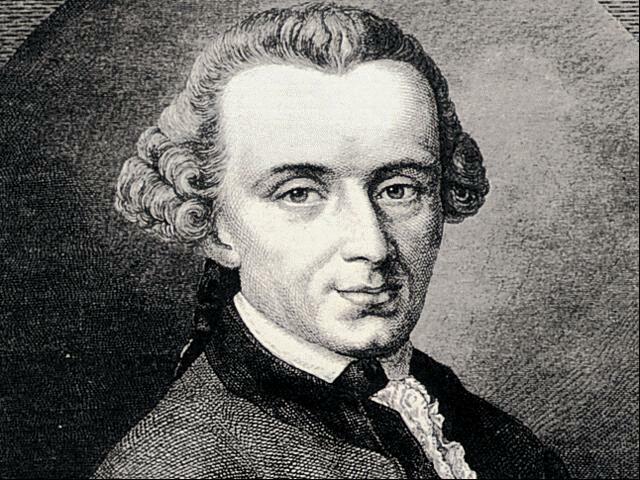 – This perfect being can only be truthful: I guarantee, in fact, that the ideas I see it as clear and distinct is true. – The “divine truth” derives from the nature of God, which can not mislead me, since it is perfect. The idea of ​​God is part of innate ideas. They are the ones not coming through the senses and experience. They are true and immutable natures, constitute the treasure of my mind. In his quest for metaphysics, Descartes deepens the essence of spiritual dynamism of man: he emphasizes the superiority of understanding (faculty by which we perceive ideas) on the imagination (power to represent things in ways sensitive). Imagination is not necessary to the essence of my mind and request a special effort. The work of the understanding it is much simpler. – For example, imagine a thousand polygon side is extremely difficult, unlike the design. This explanation of the spiritual dynamism of man is inseparable from a meditation on freedom. Descartes considers the freedom of indifference (a condition in which the will is when it is not brought by the knowledge of what is true or, to follow one party over another) as the lowest degree of freedom. – True freedom of indifference excluded. It is characterized by the absence of external constraint. – It means a choice by the knowledge of truth. In Descartes (and his time), philosophy is the science and study of all nature. In a famous definition, Descartes says, in fact, that philosophy is like a tree whose roots are metaphysics and then the trunk is physics. The branches coming out of the trunk are all the other sciences. – The physical science of nature is mechanistic because all objects of nature are the laws of extension and motion. – Material means a substance extended in length, width and depth. – It’s now the geometrical and mathematical appears to constitute the material. – The living body, too, has a mechanistic explanation: it is a machine that we must understand as a mechanical model. – As for the animal, it is nothing but a pure body mechanics, devoid of sensitivity, thought and language, an automaton designed by God. – This is the thesis of the animal-machine. It means the animal and the animal body, as they are designed like machines, simple hardware mechanisms, robots produced by nature. If philosophy is the science, it also means the study of wisdom. It represents, in the context of Cartesian perfect knowledge of all things that man can know. It should be noted that this ideal difficult to achieve and realize, inseparable from a challenging intellectual task, leaving the field open to what Descartes calls a provisional moral, easier to build than the legal final. – It is a set of provisional rules of life, designed to organize life, pending the legal based on reason. A provisional moral means something immediately usable. If Descartes had not built its legal definition, we nevertheless (in The Passions of the Soul) given very important information for understanding the mechanisms of passion. – This understanding can lead to full mastery of the passions. – So what’s a passion in Cartesian terminology? a phenomenon caused in the soul by the action of the body resulting from this action. – Descartes also studied the physiology of the passions, representations relating to the movement of animal spirits, subtle elements circulating throughout the body and having a function as intermediaries between the soul and body. Thus, by its method, its scientific approach, by its mechanism, but also by its psychophysiology passions, Descartes founded modernity: he is the hero of modern thinking.